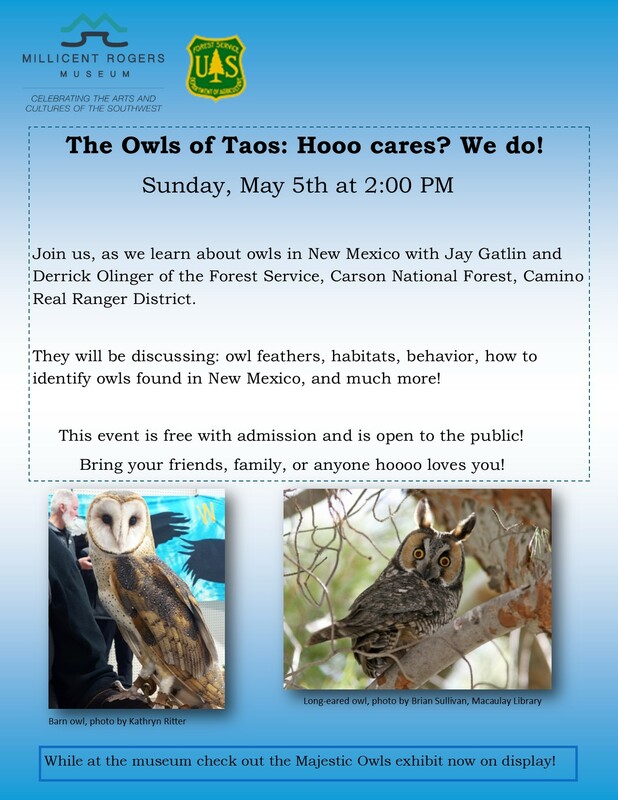 Join us, as we learn about owls in New Mexico with Jay Gatlin and Derrick Olinger of the Forest Service, Carson National Forest, Camino Real Ranger District. They will be discussing: owl feathers, habitats, behavior, how to identify owls found in New Mexico, and much more! This event is free with admission and is open to the public! Bring your friends, family, or anyone hoooo loves you!